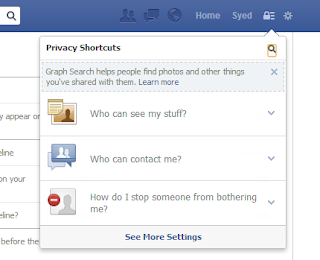 In the month of January this year, Facebook announced a revamped search version named 'Graph Search'. And it was on a limited beta test period with availability to a selected users across States and the globe with US English as their FB preferred language. Gladly, I was one of them and enjoyed it a lot. Along with the beauty of Facebook graph search, I also noticed a few things in this feature that literally gave me goosebumps. 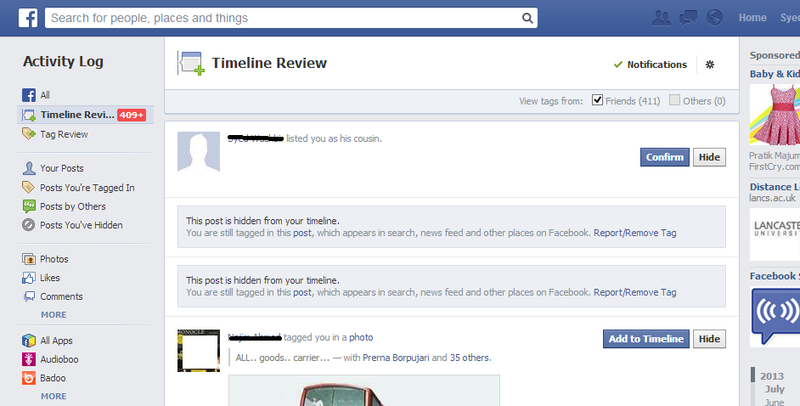 Actually, Facebook graph search would allow one to see specific information about his/her friends using its set filters. And that puts one on a cautionary note to set his privacy settings properly. So, with the global roll-out of this feature today onward (for those using Facebook in US English only), wanted to share some the stuffs you need to be cautious about to protect yourself from unwanted search on this platform. A. Speed: Unlike the earlier search version in FB, graph search is faster and more accurate, displaying both within FB and web results. B. Query Understanding: Graph search has been empowered to understand different patterns of questions/queries. C. Display: The result display on each search through graph search is being framed to suite the viewer at his logical best. D. Interface: Call it UI (user interface) and Facebook graph search stands on a classy position. Much easier to see and use than the earlier versions. A. Finding people who share your interest: Name an activity and you get the people having the same interest on each defined search for that activity. As FB says "Want to start a book club or find a gym buddy? Connect with friends who like the same activities—and meet new people, too." with this feature. B. Explore the World through Pictures: Think about a place and type it on graph search... like "Photos of my friends in **the place**" and you would be amazed with the results. C. Discover anything: Music, Movies, Celebrities, Food courts, Restaurants, Games, Athletes or anything you want can be found through the people in your network using this graph search. 1. ABOUT section: The about section in your profile comes first when we talk about protecting your privacy in any social networking platform. As the 'about' section in FB contains your basic details, control all of them setting who can view. Set most of the crucial sensitive data like your phone number, email etc. to private. Depending on the level of sensitivity, set your privacy for each of the sections accordingly. 2. Tagging/Activity Log: Use the Activity Log wisely. Set tagging option to the level where you have to approve each and every tag. It will save you from unwanted tagging and will keep your profile safe/clean. Set search levels for the options like who can look you up using your mobile or email ID. 3. What You LIKE, Watch, Read or Listen to: Take control of your stuffs like your hobby, habits by protecting what you LIKE, read, watch, listen on Facebook. Set the privacy to the level that suits you most. 4. Search Engine Visibility: In case you don't want other search engines than FB/Bing to link to your profile use that search engine visibility option available under privacy settings. 5. Your Posts/Pictures: Protect them by setting the sharing option to 'Friends' from 'Public'. In case you want few of your friends to see it use that custom share option. 6. Limit Your Old Posts: With this new graph search feature, finding an old post from your timeline would be real easy for your friends. So, limit them. 7. Quick Setting: Use that settings tab (the 'lock & bar' symbol) on your profile, set your level of privacy for each of the concerned stuffs. If you haven't tried the FB graph search yet, here's the link https://www.facebook.com/about/graphsearch Click on that "Try Graph Search" button now. That's all I had to share about protecting ourselves on Facebook after this new feature. If you have any question or doubt about this newly rolled out Facebook Graph Search, do use the commenting section below. I would love to answer them. Thanks. The information given here is indeed helpful..
How are you? Never looked at it like that. Thanks.